We manufacture a wide range of Cutter Pin, which are optimum in quality and are high in demand due to precise dimensions and durability. 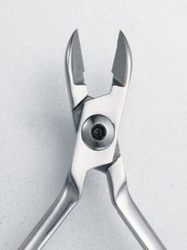 Our range is Cutter Pin resistant and is manufactured as per the defined industry standards. We Manufacture these in varied specifications to meet the different clients' requirements. Specialist in cutting of Gold, Silver & Copper NOSE PIN and Jalli.